There are three eras of Unitarian and Unitarian Universalist history present here. One is the era of James Luther Adams, a man who was a young man in the 1930’s and at the heights of his analytical and theological powers in the 50’s and 60’s. Much of this era was before merger and some of it immediately after merger. It was an era in which Unitarianism went from being a religion whose political views, on the whole at the level of the rank and file, was good-government Moderate Republicanism – and during that era, Unitarian Universalism committed itself to the burgeoning Civil Rights movement and the movement for integration. And eventually, it wrestled with the radicalization of that movement. During that period of time, especially during the 60’s, progressivism was growing and ascendant and held the moral high ground in the culture. I remember those days when I was a child in my Unitarian Church in Youngstown, Ohio. But 1968 and 1969 were a turning point for Unitarian Universalism. Not only because of our internal trauma of the black empowerment controversy, but because of the election of Richard Nixon as President. Richard Nixon won by naming and mobilizing a broad cultural resentment against progressivism and liberalism. It was everything about people like us and what we stood for that identified as the people’s enemy: our permissiveness, our skepticism; our internationalism; our nascent break with patriarchy; our sexual liberalism; our flirtations with mind-altering drugs; our cultural radicalism. After Nixon won in 1968, there followed 12 years of intense political, cultural and religious struggle between a defensive liberalism and an aggressive conservatism. In 1980, the election of Reagan confirmed what was already clear everywhere; liberalism in all of its forms had been culturally defeated. Understand that please: in 1961, the merger of the Unitarians and the Universalist took place in an atmosphere in which great hopes were attached to a new religion for a new time. But there was only 7 or 8 years in which the cultural zeitgeist matched our mood and ambitions. Just seven or eight years. For 40 years since then, religious liberalism and liberal religion have been wandering in the desert. We have been operating in a culture in which cultural, political and religious conservatism have been aggressive and dominant. For most of us in this room, this has been our experience –to be religious leaders in a religious movement that feels like it is in exile, that feels like a saving remnant rather than a vanguard, where our churches feel like refuges rather than like launching pads. For my entire life, Unitarian Universalism has been struggling with itself to maintain hope, to understand its mission, to generate real fervor, and to not get stuck in endless circular debates about what we are doing wrong. We survived; we changed a lot over time. It would be a great historical project to catalogue the changes in Unitarian Universalism from 1968 to 2008: how did Liberal Religion adapt and development during a long period of cultural conservatism and hostility to liberalism? That has been the second period of our modern history and many of us are in that generation: the Desert people: UU’s of the exile. The tide started turning in 2008, as marked by the election of President Obama. (Of course, I don’t believe that Presidents have the actual power to set the cultural tone, but their campaign themes and election show what is going on below the surface.) This man, who went to UU Sunday schools in his childhood, was elected as the result of a tremendous surge of rank and file activity and financial commitment. And we are now in another period of intense political struggle, like 1968 to 1980, but now the forces of liberalism are resurgent and the conservatism is on the defensive. And this year, The Occupy movement has put issues of economic class on the agenda for the first time since before World War 2. We are literally in a third period of our modern UU history now, and no one is of this period. No adult has ever grown up in a period in which we could assume that very large numbers of our fellow citizens share our basic worldview. So here we are, in the opening years of a new historical period. It may be the long conservative captivity of the culture is coming to an end. The question before us tonight is how can a deeper understanding of the thought of James Luther Adams be used to guide the flow of time through this room tonight into a different and better future? Fortunately for us, Kim Beach has distilled Adams’ thought into three overriding subjects and then distinguished three crucial thoughts for each those overriding subjects, which then I will ruthlessly strip of all nuance and subtlety and reduce to 9 questions offer up as guides to our thinking. I am a preacher and I have to put the cookies down low enough for the people to reach them. (3) history in relation to human fulfillment. Beach attaches three key concepts to each topic. To the first, (Religion in relation to the human condition), Beach reads Adams as focusing on the affections, volition and conversion. 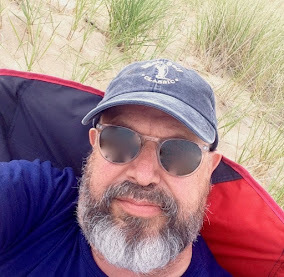 To the second (society in relation to the human community) Beach reads Adams as focusing on vocation, association and covenant. And in regards to the third (history in relation to human fulfillment), Beach sees Adams concerned with sacred tradition, eschatology and Christology. So, let me get at the same topics with these nine questions. 1. (Affections) What do we love? Or to be more clear , where, when, how are we most in love, most at the intersection of our intimate being and the ultimate dimension? There seems to be among us such a deep hunger for the embrace of deep community, supportive, accepting, loving. Phrases like the beloved community have such power among us, there is something there of our affections, of the being that we love being. Rev. Nate Walker of First UU Philadelphia described his vision of us as being the kind of people who, when we enter into a situation, especially a troubled, disturbed situation, everyone sighs and says “O Good, the UU’s are here.” It was a vision of a kind of us being a particular kind of being. 2. (Volition) What do we really want? There is a difference between what we love and what we will – to what end do we exercise our will – who is the being that we try to be. 3. (Conversion) What are ready to give up? What is demonic in the exercise of our will? Where are we on the wrong path, what we want that is not worthy? These three religious questions: how religion relates to our human condition have been our preoccupation within Unitarian Universalism for these long decades and took on a morbid urgency in this exile period. We are not sure that our will matches what we love, or we are afraid that it does, but that it is demonic. When we ask the perennial question as to whether “we walk the talk” or discuss the conflict around “loving the world vs. changing the world” or the ponder the choice between “intimate community vs. missional community:” these questions are about the relationship between what we love and what we will. We have to remember that we have struggled with those questions in a time when we feel the culture is hostile and when the question of “What is wrong with us?” has been uppermost in our thoughts. They all must discerned anew in this time. 4. (Vocation) What are we called to do? Our personal vocation which arises out of the interplay of our will and our most intimate/ultimate being. We hear the question of vocation in the angst about whether our people have a consumerist attitude toward the church. Vocation asks “what is a UU’s mission in life?” And when joke that there’s no way to become a more serious UU except to go to seminary. That’s a clue to the lack of clarity about vocation in Unitarian Universalism. 5. (Association) Who are our comrades? “Associations” is an antique word for social networks. Adams envisions a world in which people form “voluntary associations” which act in coalition with each other to promote the social good. A congregation would be a voluntary association in a coalition with neighborhood organizations and other civic organizations. That is not the way that it is anymore. Society is now an interwoven network of networks. Facebook makes this very clear. You go to a fellow congregants’s page and you see that they have 200 friends. You have only 25 friends in common. You can see that the congregation is one network connected dozens, indeed hundreds of other networks. I serve a congregation of Unitarian Universalists. We have a building and a membership and officers and a staff. But we are also mixed online and offline network of people, each of whom is part of other networks. The church I serve has 350 members and about the same number of facebook fans and these two groups are only partially the same people. Some of those non-member fans are far away and go to other UU churches and some are not UU at all. Some of these associations are voluntary and some are not. We are in an association with the world as human beings, and with our country as citizens, with others with whom we define ourselves, or others define for us, as sharing an identity. What does a voluntary association look like in this new age? The multiplicity of associations leads to questions of covenant: in what way are we committed to others in the network of connections we find ourselves. 6. (Covenant) How shall we be with our comrades? 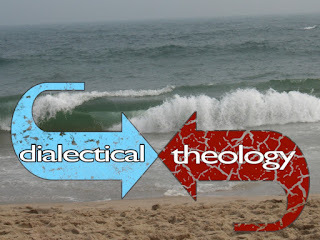 The last three questions are around the subjects that Beach has called sacred tradition, eschatology and Christology. 7. (Sacred Tradition) What is the story we are enacting? What are the full dimensions of that story? Unitarian Universalism has, for the most part, dropped out of the grand story of Christianity: the creation, fall and redemption of the Universe and all its people through God’s grace. For more than one reason, we are cautious about identifying ourselves with a national story, or even a national people’s story from below. We Unitarian Universalists have been seeing ourselves as enacting the story of a small and ambitious faith’s survival, through our desperate efforts to heal ourselves of whatever is wrong with us. Our story has been our struggle to define ourselves in a world that wants to trivialize and diminish us as sappy headed fools. The story we tell of ourselves helps us to overcome the shame and humiliation of being a liberal in a world that thinks it knows better. As a result, the story we have been telling ourselves has been anxious and brittle and defensive and most of all, sectarian. We make ourselves the heroes of our own story – we have trouble seeing ourselves now in this new era as not marked with our yellow tee-shirts. The 99% movement has been about seeing how much we all have in common; the yellow tee-shirt is about how we are different. Sometimes we are busy being Capital U Unitarian Universalists that we have trouble being small-u universalists. 8. 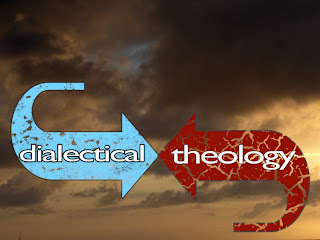 (Eschatology) The overriding question is “What time is it?” What time is it in our story? How does this story we are a part of end? I believe that we are at the beginning of a new third period of UU history -- one in which Unitarian Universalist congregations and churches are nodal points in a vast network of networks coming together to move our culture in a more compassionate, just and inclusive direction. It is a hopeful story, a joyous adventure, a story that might be the best years of our lives. 9. (Christology) To me, the question of Christology is this? Is it possible that God would be active in human history? Is it possible that Yahweh would part the Red Sea to save God’s people? Is it possible that God would be incarnated in a Jewish carpenter and die on a cross, and thus prove which side of history God is on. Is it possible that God would make Himself known in the holds of slaveships, to light there freedom’s fuse? How is the divine at work in this work we do? I am a preacher and I have to put the cookies down low enough for the people to reach them.